Leave your name, course work, and time requirement in the comment section below to contact that Lady down in Texas, the administrator for on-line course work through The X-Man Foundation. We would also like to hear why you have picked The X-Man Foundation for your internship. It’s okay if you say it is because the internship is on-line. Many offices in corporate America utilize hourly wage earners through on-line work. Some of them work on-line for the entirety of their employment and some other workers split their work week working at home on-line and then attending necessary functions and meetings physically at the locations of their employers. We applaud companies that utilize technology that allows their employees to work from home. That is one less driver on the roads during rush hour traffic and its fun to work in your pajamas. You are home to let the cat out or walk the dog. You can be home when the kids get back from school. Most importantly, you can be an effective force from your keyboard in so many situations. Here at The X-Man Foundation, our volunteers feel that ‘the Story of X’ is the most powerful tool we have to give drivers pause before a determined course of distracted driving. We realize that opening up this avenue of on-line course work is also life saving work as you read through the articles, comment on the articles, and share the articles within your social media circles. We welcome the constant monitoring this work will have on the articles that present our campaign ‘Don’t text 4 X’ to the public. We encourage our interns to post numerous articles on the timelines of those friends and contacts that are known to be bad drivers. We appreciate that many of our interns are excellent drivers who watch the roads and we know many of our interns will fall short of perfection when it comes to watching out for the dangers of distracted driving. This is why we are offering credit for commenting on the Xzavier articles. The more we find out about the attitudes of drivers dealing with the choices of watching the roads or multi-tasking with a phone behind the wheel, the more we are talking about it. Read more about the internship by clicking here. 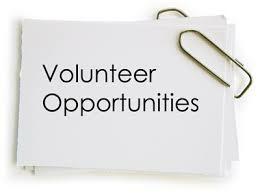 We are looking for a few shining stars out there who embrace the campaign ‘Don’t text 4 X’ by The X-Man Foundation and we will strive to offer an internship that will give you a well rounded view of working in the trenches of non-profit work. In house internships available in our headquarters of Milwaukee, WI and our satellite office in Austin, TX. We welcome all volunteers with open arms.